This is a complete filter set. 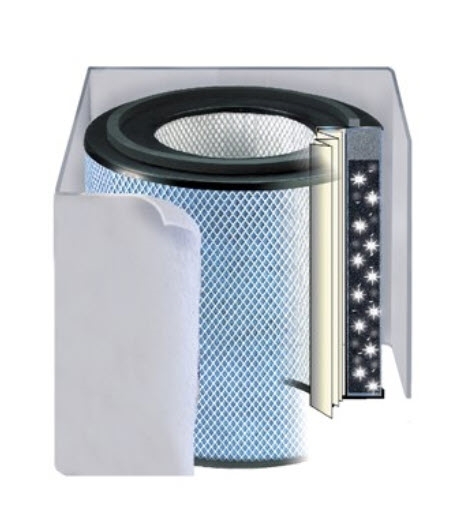 A Prefilter, HEPA replacement filter and 15 lbs Activated charcoal for the larger standard size Healthmate Plus.Sometimes referred to by internal Austin part# HM450. Fits all standard models built after August 1995. Chosen by the American Red Cross and the Federal Emergency Management Agency (FEMA) to address severe air quality concerns in post 9/11 New York.